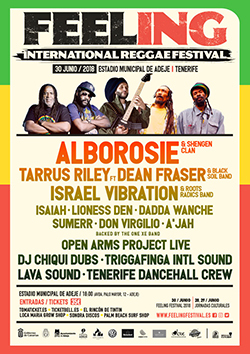 The second edition of the Canary Islands’ biggest reggae event happens in Tenerife on June 30th. Reggae music returns to the Canary Islands for the second annual Feeling Festival. Confirmed headliners are Alborosie and the Shengen Clan, Tarrus Riley featuring Dean Fraser and the Blaksoil Band, and Israel Vibration backed by the Roots Radics. Local reggae acts include One Xe Band, Lioness Den, Isaiah, Don Virgilio, Dada Wanche, A’Jah Porfecía Crew, Lava Sound and the Tenerife dancers crew. 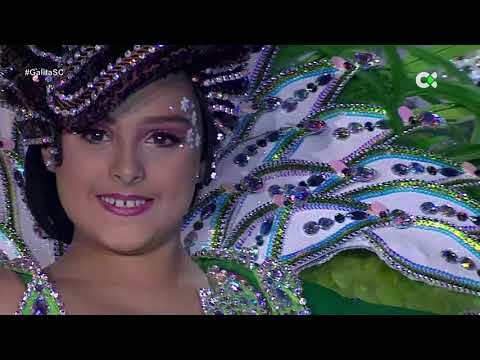 The live shows take place on June 30th in Adeje, southern Tenerife. They are preceded by a two-day free cultural event including workshops, screenings, music and discussions on June 28th and 29th. Tickets are on sale via tomaticket.es and ticketbell.es. A percentage of proceeds will be donated to aid projects supporting people facing social exclusion through the Fundación Pedro Roguez Ledesma and to the construction of a school in Gambia with Solidarios Canarios.